Color Assignments for specific adjudication forms are located in a link on the right NAV bar on the music UHSAA page. Held on three nights. All festivals start at 5:30 PM. This is the first festival experience for junior high band students. No ratings are given at this festival. Orchestra and Band teachers should complete an instrument inventory every year. These inventories should be kept up to date as new instruments are added, or old ones are retired from use. After the teacher completes the inventory, administrators should fill out an Instrument Inventory Completion Form for the band and for the orchestra inventory for their individual school, signifying they are aware of the inventory, and any special needs or problems that might exist. Jan 17-19, 2019, Dramacon 2019 "This is Me!" Visual Art DESK documents listed below. See SKILLS GUIDES below for specifics on skills needed in each specific art class. The development of proficiency in any art form requires a steady sequential study and development of skills. The basic concepts of any type of Art are the same from beginning through intermediate to advanced study. Although the fundamental concepts are the same, the level of skill and performance abilities in the various forms of 2-D and 3-D Art will increase over time. Even though the progress to more advanced study occurs, attention to the fundamental skills and practices of the art form are found at every level. The development of proficiency in any art form requires a steady sequential study and development of skills. The basic concepts of Dance are the same from beginning through intermediate to advanced study. Although the fundamental concepts are the same, the level of skill and performance abilities will increase over time. Even though the progress to more advanced study occurs, attention to the fundamental skills and practices of the art form are found at every level. Band DESK Standards are expanded to include the skills and content needed at each level. The development of proficiency in any art form requires a steady sequential study and development of skills. The basic concepts of Music are the same for general, instrumental, or vocal studies. These basic concepts are also the same from beginning through intermediate to advanced study. Although the fundamental concepts are the same, the level of skill and performance abilities will increase over time. Even though the progress to more advanced study occurs, attention to the fundamental skills and practices of the art form are found at every level. Choral DESK Standards are similar in all three levels. The bulleted Skills Guide will detail what specific skills are needed at all three levels. Proficiency in the Choral Arts requires steady sequential study and development of skills. Students in Choir Level I will demonstrate mastery of presented standards with director and peer support. Student in Choir Level II with demonstrate mastery of presented standards with limited director and peer support. As students master each advancing level, peer and instructor support will decrease, moving towards independence and exceptional practice. See SKILLS Guide bullets for more detailed information. The development of proficiency in any art form requires a steady sequential study and development of skills. The basic concepts and skills of dramatic studies are the same from beginning through intermediate to advanced study. Although the fundamental concepts are the same, the level of skill and performance abilities will increase over time. Even though the progress to more advanced study occurs, attention to the fundamental skills and practices of the art form are found at every level. 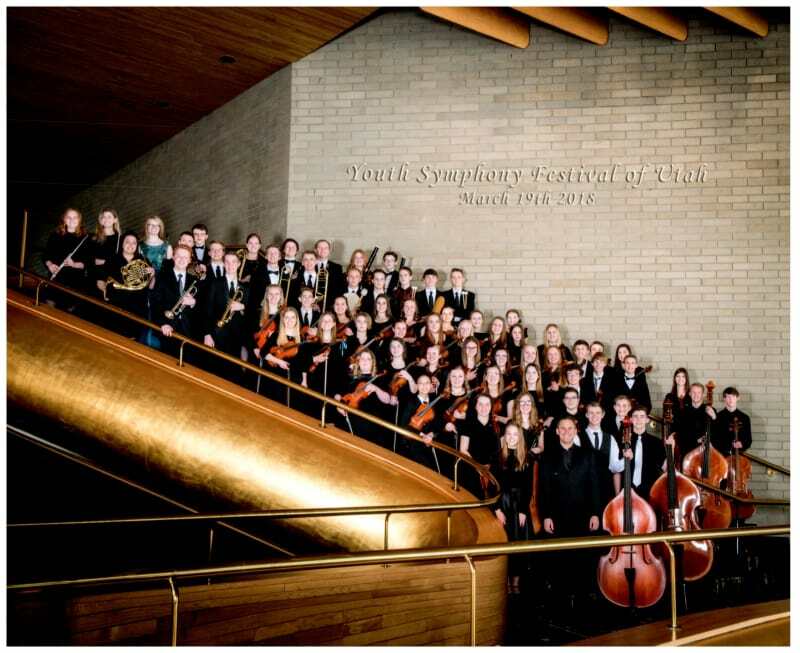 Davis Youth Orchestra is an audition only group for students in grades 7-10. Placements in the Orchestra are secured by audition. Davis Youth Philharmonic is what is considered our "Varsity" instrumental team. This is an audition-only group for students in grades 10-12. Placements in the Philharmonic group are secured only by audition. provide greater challenge for the outstanding instrumental music students of Davis School District through experiences of a higher performance level. provide advanced training in musical skills as identified in the National Standards of Music Education and State of Utah Instrumental Music Core. enhance music skills for those who participate, as well as those who will share in the experience in the existing school instrumental programs, as the participants bring new skills back into the classroom. provide an awareness of what other music students are achieving, as well as an awareness of each participants own musical potential. provide camaraderie with other music students. promote community interest and support for music. Absences with parental consent will only be excused for valid reasons. Except for emergencies or sudden illness, all excused absences are to be approved in advance. Two consecutive absences will result in the student being moved to the end of the section. Three consecutive absences will jeopardize the student’s membership in the group. show professionalism in approach to rehearsals by being seated and warming up 15 min. prior to the scheduled rehearsal time. Tuning will take place 5 minutes before the rehearsal begins. bring all necessary equipment (including pencils) to rehearsals and concerts. prepare music thoroughly for all rehearsals. accept seating assignments by the director or DYS Staff. **Infraction of any of the rules or regulations stated above may be cause for dismissal from the group. Audition dates and requirements will be announced on the website and in instrumental music classes, allowing for adequate preparation time. A $200.00 per student membership fee will be assessed each participating student. This fee is due at the first rehearsal. Provide all members with appropriate articulations, bowings and markings. Assist conductor and students during rehearsal. Rehearsal Calendars will be posted when available. Monday afternoons at Centennial Jr. High from 4:00 PM to 6:00 for Orchestra, and 4:00 -6:30 for Philharmonic at Viewmont High School.